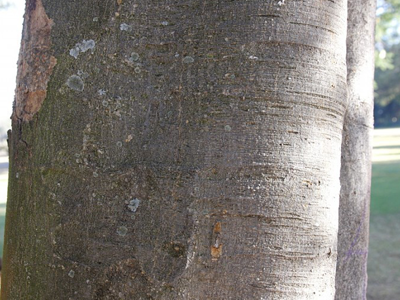 White Stinkwood (Celtis Africana) is a large indigenous tree of as high as 40m. White stinkwood trees flourish in areas with especially high rainfall, and in regions with lower rainfall in the forest or wooded grasslands, and is not limited to any particular type of soil. In camps on the coast this tree plays a big role to protect cattle against the hot summer sun. 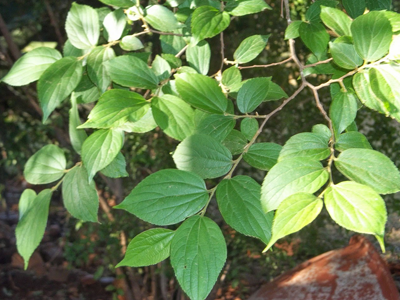 The leaves are alternate, simple, and light green when they are young, but dark green when adult, with a drop point, edge serrated top two-thirds, with a petiole up to 35mm. Cattle and game such as kudu, nyala, bushbuck, impala divers feed on the leaves and young twigs. Baboons and monkeys like to eat the ripe fruit and the tree is even popular among fruit-eating birds. Larvae of certain butterflies live on the tree. Bark of young branches are hairy, but smooth and light gray. The older branches and stems sometimes have horizontal reefs. The wood is strong enough for making furniture. The wood can easily be used for shelves. Young branches and shoots are used for making tool handles because the wood can be carved easily. Because it is durable, household items such as spoons and bowls are also made of this wood. 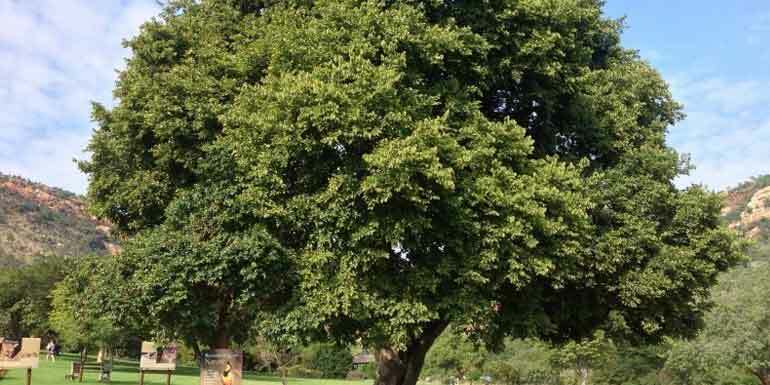 The White stinkwood is also a popular garden and street tree with beautiful yellow autumn colors. When the tree is planted between scrubs, it will give shade in summer and allow sun in winter. White stinkwood can adapt in a container, and will respond very well when pruned. Water it weekly in the summer, and during the winter once a month. In deep soils the tree grows very quickly, usually 2m a year with plenty of water.